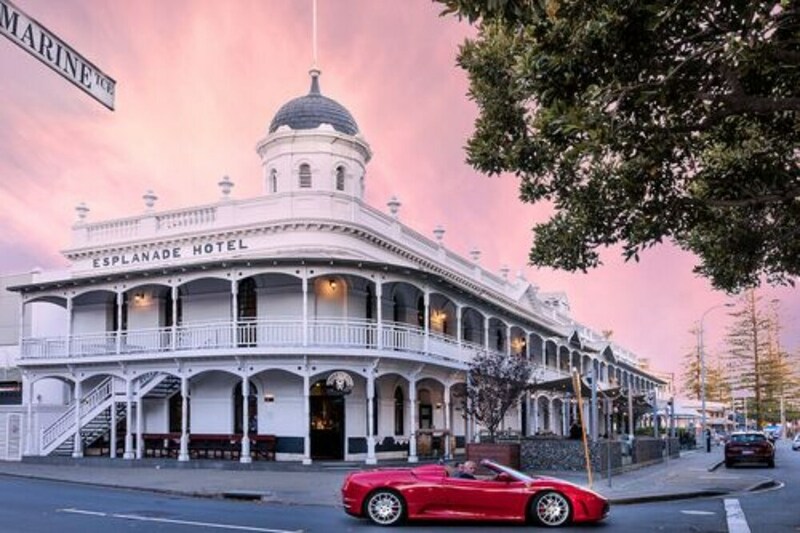 With a stay at Esplanade Hotel Fremantle - by Rydges in Fremantle, you'll be within a 5-minute walk of Fremantle Markets and University of Notre Dame Australia. This 4.5-star hotel is 0.9 mi (1.4 km) from Fremantle Prison and 1.1 mi (1.8 km) from Fremantle Passenger Terminal. Stay in one of 300 guestrooms featuring flat-screen televisions. Your pillowtop bed comes with premium bedding. Private bathrooms have complimentary toiletries and hair dryers. Conveniences include phones, as well as laptop-compatible safes and desks. Dip into one of the 2 outdoor swimming pools or enjoy other recreational amenities, which include a health club. Additional features at this Colonial hotel include complimentary wireless Internet access, concierge services, and wedding services. Enjoy international cuisine at Atrium Garden Restaurant, a restaurant which features a bar and a pool view. You can also stay in and take advantage of the 24-hour room service. Buffet breakfasts are served on weekdays from 6 AM to 10 AM and on weekends from 7 AM to 10 AM for a fee. Featured amenities include a business center, express check-in, and express check-out. Event facilities at this hotel consist of a conference center and a meeting room.